Does a retrograde launch impact the return booster propellant requirements, as compared to prograde? 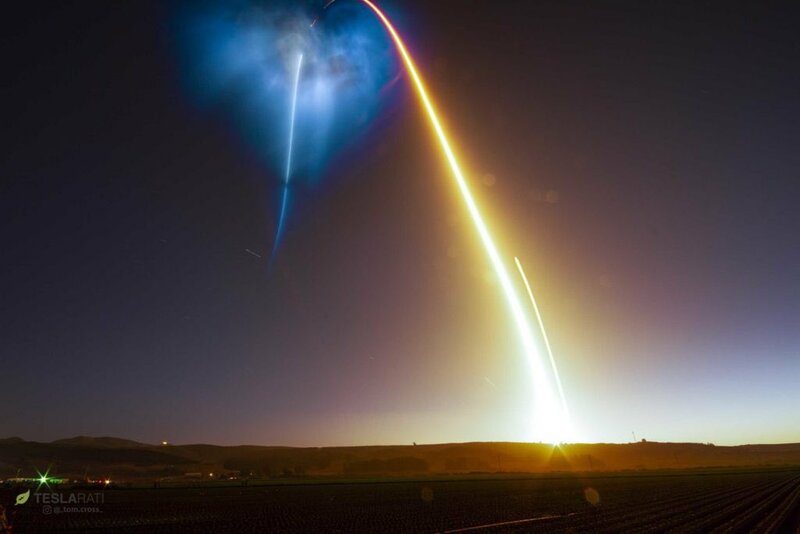 Space-X's latest launch, of SAOCOM-1A, was a retrograde launch from Vandenberg, with a landing back at Landing Zone 4 - at Vandenberg. A retrograde launch requires more energy (to counteract the Earth's rotation) but does it have any impact on the propellant requirements for the launch and return of the booster. Or for the booster, because it has to go out and return, does the effect from the Earth's rotation cancel out? It is likely to use a greater proportion of it's propellant for a RTLS than for the "usual" launch. As a result of the extra delta v required for an orbit, the payload will be lighter than for an equivalent orbit heading East, so the first stage can reach a higher velocity before it needs to separate and boost back, but it will need a little more fuel to do so, as it has the same dry mass once separated. Not the answer you're looking for? Browse other questions tagged spacex launch retrograde-orbit or ask your own question. What computer programs does ITAR say I can or can not write, or share, or use in the US? How much does the tidal effect affect satellites in a retrograde orbit?